Walt Berger started making rifle bullets in 1955 because he believed he could make better bullets than those that were available at the time. 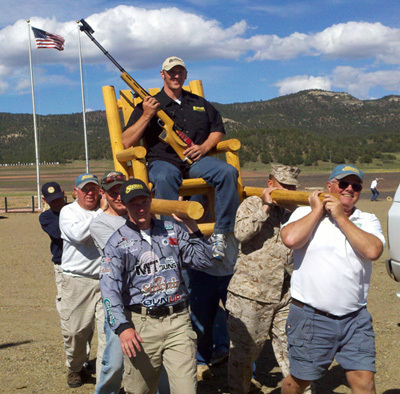 He regularly participated in bench rest shooting competitions (and still does today), which requires the highest levels of precision in all components. In 1987, Walt grew his bullet making operation beyond a part time hobby after encouragement from his second wife Eunice (Walt lost his first wife Mary to cancer). Together, they grew the business into a large scale precision rifle bullet making operation. In 2000, Walt sold Berger Bullets to Spiveco Inc. This move merged Walt’s skill at building rifle bullets with the company that produced the J4 Precision bullet jackets utilized in all Berger Bullets. The plan was for Spiveco to provide additional resources to further grow the Berger operation in Phoenix, Arizona. Unfortunately, Spiveco fell on hard economic times. 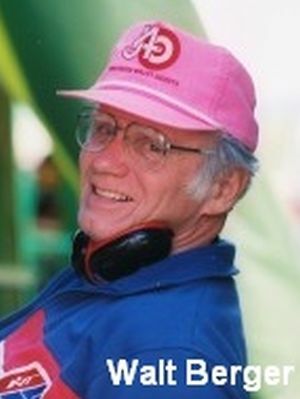 The owner of Spiveco was compelled to shut down the Phoenix operation, terminate all of Berger’s employees (except for Walt and Eunice, who stayed on as consultants but remained in Phoenix) and move everything to Fullerton, California. Within a few years, Spiveco’s financial hardships forced them to liquidate all of their assets. In 2003, the Sheeks family acquired Spiveco’s assets, which included a much diminished version of the Berger Bullets operation. The Sheeks family has a long history of precision metal stamping, but they were not familiar with the bullet making process and the firearms market. They needed someone in Fullerton to focus on growing Berger back to prominence. Walt suggested they rehire Eric Stecker, who was the former Plant Manager of the Phoenix, Arizona operation. 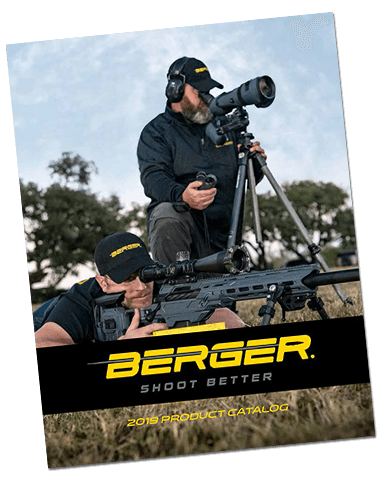 In 2004, Eric Stecker rejoined the Berger team; and with over a decade of Walt’s training and direct guidance, Eric put Berger Bullets on a path to regain its reputation as the gold standard for rifle bullet manufacturing within the entire bullet making industry. Tragically, also in 2004, Eunice succumbed to a brain tumor, preventing her from witnessing how her foresight and dedicated efforts would result in what Berger Bullets has become today. In 2016, The Nammo Group a Norwegian/Finnish corporation acquired Berger Bullets and added them to a family of premium brands including SK Rimfire Ammunition, Vihtavuori Powder and Lapua Bullets and Cases. 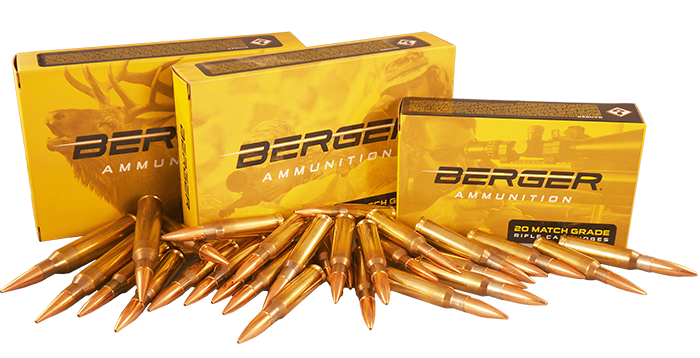 The Nammo Group brings a level of support to Berger Bullets that is rivaled by few and bested by none. Nammo supports Berger in many areas including production capability expansion, advanced engineering, innovative product development, and the opportunity to share technology between all of these top quality brands. Berger Bullets continues to grow its operation under the ownership of The Nammo Group and the guidance of Walt, Eric, Bryan Litz and David Hamilton. Bryan Litz is an accomplished aeronautics engineer with a lifelong passion for small arms projectiles. He joined the Berger team in 2008. Bryan has written several books on external ballistics and is regarded as the top expert in this field. David is Walt’s grandson and former Production Manager of the Phoenix, Arizona operation. David rejoined the Berger team in 2010 and has taken Berger’s day-to-day production quality standards to new heights. Together, the management group has built a highly trained and skilled team who daily produce the most consistent, Match Grade* rifle bullets in the world and also provide world class service to those who resell and shoot Berger Bullets. 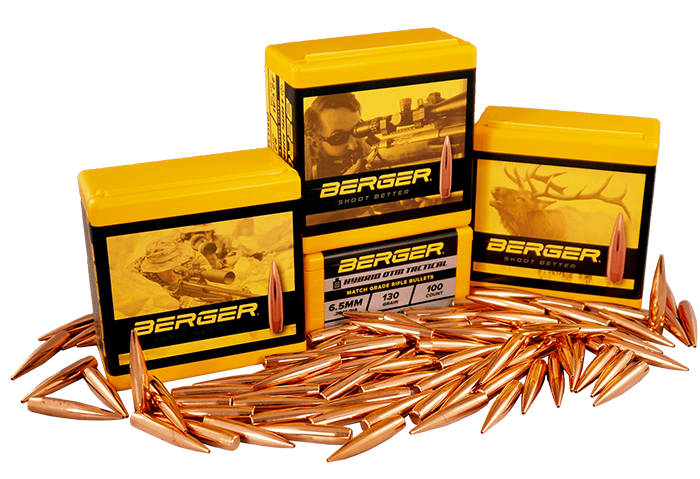 *At Berger, we make rifle bullets used for Target, Varmint, Hunting and Tactical shooting applications. In these four application specific lines, ALL of our Berger Bullets are made to Match Grade standards. Making our bullets to Match Grade standards means that we are using the highest quality materials, tightest tolerance tooling and most importantly, an inflexible commitment to attention to detail in the manufacturing process.